We carry a full line of recycling and scrap processing equipment for handling ferrous and non-ferrous metal, paper, cans, glass solid waste and other materials. We provide shears, choppers, crushers, compactors, pulverizers, dumpers and other equipment to serve your material handling needs. 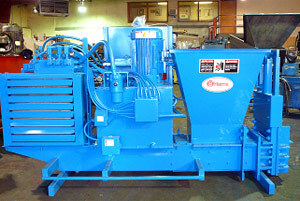 We have the experience to help you choose the correct machinery and the correct solution for your needs. Alligator shears, often called metal cleaning shears, can separate higher value materials or and reduce the size of scrap for improved handling and processing heavier payloads. Designed to withstand the rigors of scrap yard use, they are suitable for almost any industrial application. Blade lengths vary from 8 inches to 24 inches. 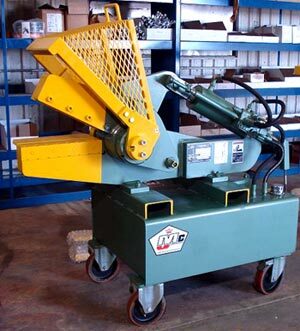 We offer economical portable yard shears that provide easy, fast cutting of steel bars. Features include foot & hand controls, smooth operator-controlled cutting stroke, safety cover over shear head, wheels for easy portability, and minimal moving parts to reduce mainentance. Increase your revenue and profits on scrap wire and cable! 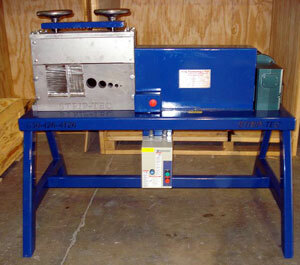 Wire strippers are designed to strip rubber and plastic coverings from copper and aluminum wire and cable. Our heavy-duty strippers handle any length wire ranging from 1/8” to 2 1/2” in diameter. Designed for efficient, easy and dependable operation with heavy structural construction, direct drive, hardened cutter blades, and sealed ball bearings. 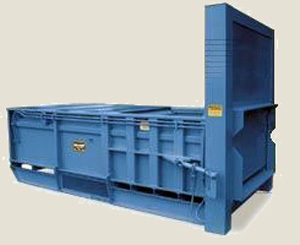 DeHart Recycling Equipment carries tough, economical scrap choppers that can reduce cumbersome waste banding and wire into “recycler friendly” scrap. Our fully engineered choppers are for use at loading docks, warehouses or and manufacturing floors. Just load the material (banding) into the infeed funnel. The feedworks (pinch rolls) will then grab the material and pull it into the rotating knife path. The feedworks will continue to pull until the material is consumed or the operator stops the chopper. We offer a wide range of choppers suitable for various industrial usages. Banding choppers provide increased workplace safety, reduced housekeeping costs, and convert scrap materials into increased cash flow. Make your recycling more profitable by sorting aluminum cans from steel and other contaminants before you buy. Simply dump your aluminum cans into the large feed hopper and allow the heavy duty permanent magnetic head pulley to separate steel cans and contaminants. Standard models are built for high throughput, capable of sorting 3,000 to 9,000 lbs. per hour. We also can custom-build can processors to meet your unique needs. Our can flatteners offer durable construction and easy maintenance combined with trusted DeHart Recycling Equipment support to ensure products are built to last. Whether you’re a high or low-volume processor, we have the ultra-efficient flattener/blower for your operation. Whether combined with a flattener or as a standalone unit, our can blower can be used to transport loose, un-flattened or flattened cans into a trailer or other container. Field-proven blower design is easy to service, built for long life and low maintenance. 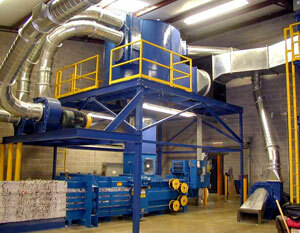 Can densifiers are the simply the most cost effective means of compacting aluminum cans into ultra-dense form. Our rugged, innovative densifiers are tried and tested to deliver ultimate reliability, low-maintenance operation and excellent results. 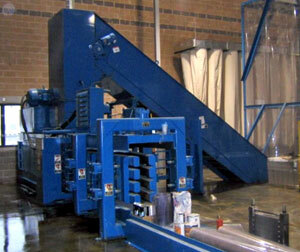 Several models are available which can provide production up to 2,400 pounds per hour of un-flattened cans. Machines have fully automatic cycle that adjusts for whole or mixed cans, allowing for maximum throughput and eliminating the need for constant attendance. All machine functions are operated by a solid state, programmable controller. Maintenance needs are low due to rugged construction and minimal moving parts . All moving parts are fully enclosed for operational safety. We offer a selection of material handling carts to improve the collection, transportation and handling your plant’s waste and recyclables. We offer rugged steel carts up to 4 cubic yards and durable polyethelene carts with capacities up to 2½ cubic yards and up to 1,500 lbs. We can make your material handling more efficient by finding the appropriate cart for your needs. We carry a wide variety of options including 65 and 90 gallon two-wheel containers, four-sided recycling trucks, tilt carts and self-dumping hoppers. 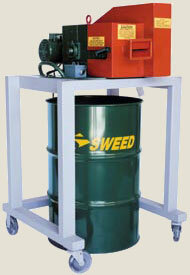 Our recycling carts include industrial-duty swiveling casters to provide ease of movement across your plant. Carts are also are sized to fit three across in standard trailers to maximize space efficiency during over-the-road transportation. Carts are available to interface with cart dumpers. Options include lockable lids to secure sensitive documents, a variety of standard colors to simplify application identification, and lockable casters. Towable models are also available to allow up to 5 carts to be towed together, which is ideal for larger facilities. To simplify you material handling operations, a dumper will lift and dump materials from carts, bins, gaylords, and other containers to feed other processing machinery. 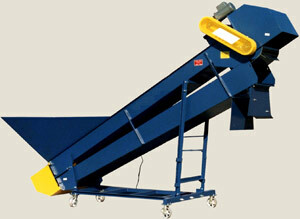 Ideally suited for loading sorting conveyors or feeding a conveyor, shredder, crusher, or other processing equipment. Cart dumpers increase worker productivity, reduce back-strain and improve processing efficiency. We offer a range of standard units, as well as full design services. We provide standard power unit assemblies or we can build to our customer's specifications. Cart dumpers are versatile, efficient, easy loading, and economical. Choosing the right compactor for your waste needs may seem simple but often industry-specifc needs call for certain compactors. DeHart can help you find the right one. With 30 years of unrivaled experience, DeHart can help you navigate state regulations and local restrictions to find the ideal compation solution. We can identify the waste handling system that makes the most sense for you, achieves maximum cost savings, and addresses regulatory compliance issues. With hand-feed hoppers, chute systems, or through-the-wall installations, these powerful yet compact units are perfect for apartments, hotels, hospitals, office buildings, and other high-rise facilities. We offer optional features, such as crossed cylinder design, to minimize the footprint when space is limited. Customized fabrication and installation is provided to ensure ideal operation and fit. We are confident you will find we offer highly efficient, economical solutions for your most challenging applications. 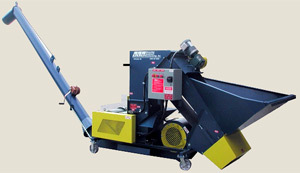 Stationary compactors provide significant waste removal savings. Models can be configured with a number of options to ensure feed efficiency for walk-on and security chute applications. Our compactors are stress engineered to allow maximum operating pressure and cylinder pressure to ensure maximum loads in containers. We incorporate user friendly controls. Heavy duty units are built with structural reinforcements and quality components and are fully tested to provide years of trouble-free service. Each unit meets all ANSI specifications. Built for reliable performance in commercial and medium industrial situations, it effectively reduces solid waste material to a fraction of its original size. Stationary companrots are ideally suited for grocery stores, warehouses, department stores, large restaurants, factories, and more. 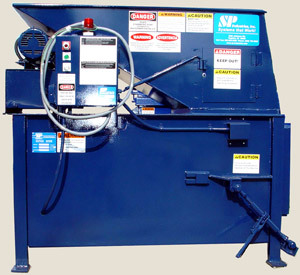 Self contained compactors offer an excellent solution to wet waste and space issues. Options like self draining floors and drain valves give you the ability to modify your equipment to realize lower overall operating costs. Our self contained compactors differ from the competition by providing adjustable doors, full height door seals, and better construction to provide a longer life and greater value. They are designed to store and transport your waste, prevent contamination of your work and public areas in accordance with public health department requirements, improve working conditions for your employees and reduce disposal costs. These machines offer a faster payback and more value through longer life, less maintenance, and improved efficiencies to solve your wet waste problems. 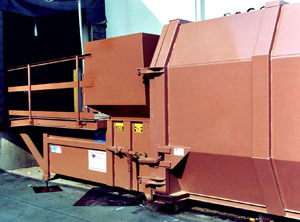 Pre-crushers reduce shipping crates, barrels and other bulky items to a fraction of their original size. Each stroke of the powerful ram crushes disposed material against a tough solid steel bulkhead at the end of the charging chamber. The bulkhead automatically lifts and the crushed material is forced into the receiving container. Extremely high reduction ratios are achieved because air pockets in the material are eliminated – offering substantial savings in hauling costs. Loads are easily emptied out of the receiving container because the material has lost much of its "memory." We offer a complete line of glass crushing and pulverizing equipment, providing solutions for a variety of budgets and processing applications. Equipment choices range from a small crusher for low volume use to larger units at recycling centers to entire processing lines for restaurants and bars. Our equipment gives you the flexibility to process a variety of glass materials making glass recycling efficient while separating the waste (debris, rings, and labels) and removing contaminants. With the commingled separation system (COSS), commingled containers pass below a magnetic separator and ferrous metals are extracted. The remaining material then passes on to the breaker that reduces the glass in the stream. The material is then conveyed to a trommel screen that separates the glass from the aluminum and plastic which can then be sorted manually or through the use of a screen and an eddy current. Choosing a system to pneumatically convey your scrap paper, cardboard or plastic is about much more than moving material from one point to another. It is about automating your plant and providing efficient by-product recovery. DeHart Recycling Equipment provides custom designed solutions that focus on reliability, operational efficiency and flexibility. Our systems range from single point pick-up to a turn-key custom built collection system for an entire plant. Removing atmospheric particulate from the workplace benefits both people and equipment, contributing to a cleaner work environment, reduced machine maintenance and happier, healthier employees. At DeHart Recycling Equipment, we can recommend the proper type and size collector and filtration unit for your particular application. Dust is well known to be a lung and eye irritant, but dust poses another risk in that it can also be highly explosive. Static electricity, friction, sparks and other conditions found in the production environment are potential ignition sources for dust. Static control systems are available which are designed for the capture and control of airborne contaminants. 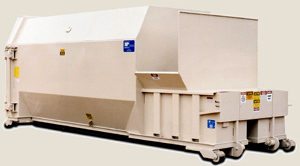 DeHart Recycling Equipment can provide a dust containment system for virtually any location and for any business with an airborne contamination problem.